If there is something annoying and inconvenient to endure is a queue. To spend a lot of time of queue to perform a management that usually does not take us more than five minutes is something that needed a solution. To solve this problem we have developed a queue management system which is faster and energize the maximum these processes, transmitting the customer the feeling that he is going to be attended to in a short time. 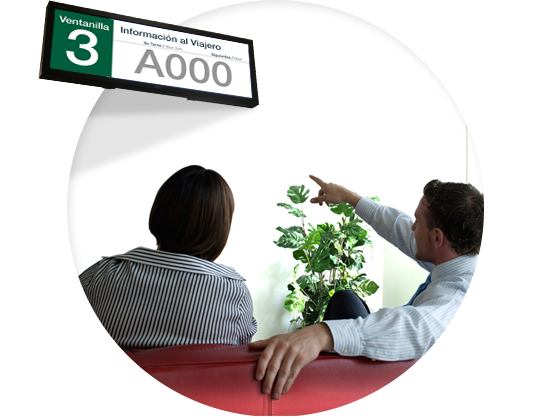 It’s deployed by complete with our DENEVA Digital Signage Solution, and it allows us to present the following turns information on the screens and also combined it with any type of images, videos or multimedia content that makes the feeling of expected much lower and more bearable.